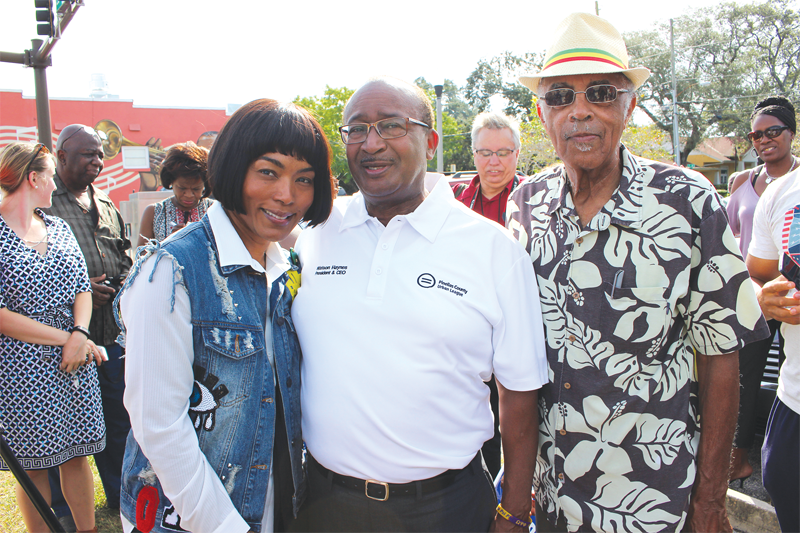 Angela Bassett with her childhood youth director, Watson Haynes and Rev. 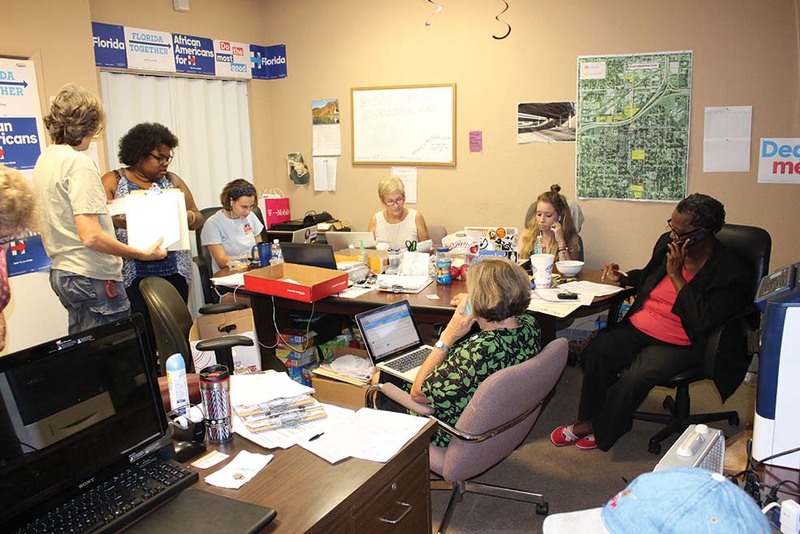 Alvin Miller at the South St. Petersburg Canvass Kick-off Tues., Oct. 25. 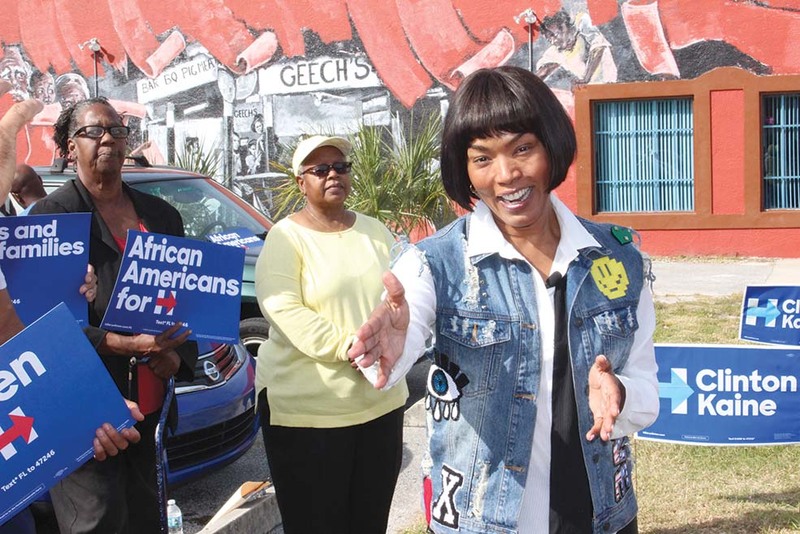 ST. PETERSBURG –When asked where in Florida she wanted to stop off to campaign for Hillary Clinton, Golden Globe Award-winning actress Angela Bassett didn’t have to think twice about her answer, St. Pete! 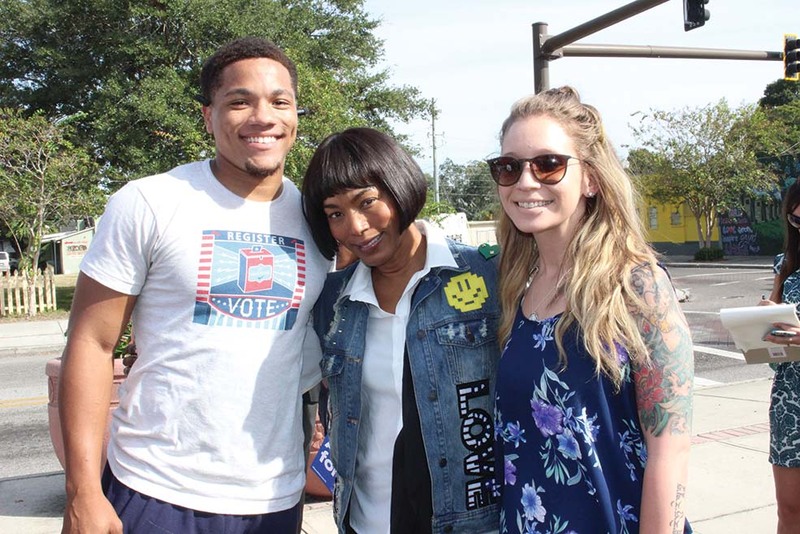 The What’s Love Got to Do with it actress showed her support for presidential hopeful Hillary Clinton Oct. 25 by participating in the South St. Petersburg Canvass Kick-off. While thanking supporters and volunteers, she highlighted the importance of early voting, which began in Florida on Monday. What concerns her most about a Donald Trump presidency? Bassett said we as a country need to keep moving forward, and warned against undoing all the gains that have been made under Obama’s presidency in terms of education, better wages and the protection of our country. Bassett, who attended Boca Ciega High School, said that Florida is an important state in this election, and added that it is a microcosm of the world. She reminisced about her days in St. Pete and noted how things have changed since she left in 1976. Showing her deep roots to the area, Bassett pointed to where her great grandfather’s, the Rev. Samuel Stokes, church was; her grandmother’s washhouse, which was next to Royal Theater, Mercy Hospital and where John “Geech” Black ran his popular barbeque joint. 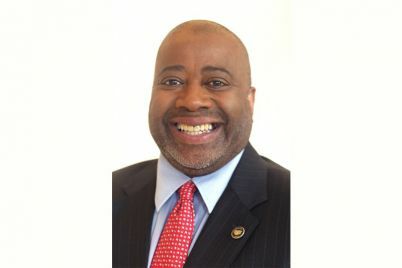 She believes that Clinton’s small business plan could help continue to revitalize the Deuces with easier acquisition of loans that could enable entrepreneurs and small business owners to “live out their dream” and breathe new life into the area. Voters can find their early voting location at iwillvote.com/locate. Really, CNN? You’re Hot With Donna Brazile, but Cool With Corey Lewandowski Being on Trump’s Payroll? It was great to see Ms.Bassett comeback to the community she grew up as a child to campaign for Hillary Clinton. Getting the White House under President Clinton to support the revitalization of South St. Community will produce new jobs and economic and business opportunities for entrepreneurs and small businesses .